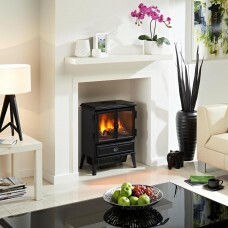 The Dimplex Stockbridge is an authentic cast iron style stove with a glossy black finish its design is perfect both a town or country home. 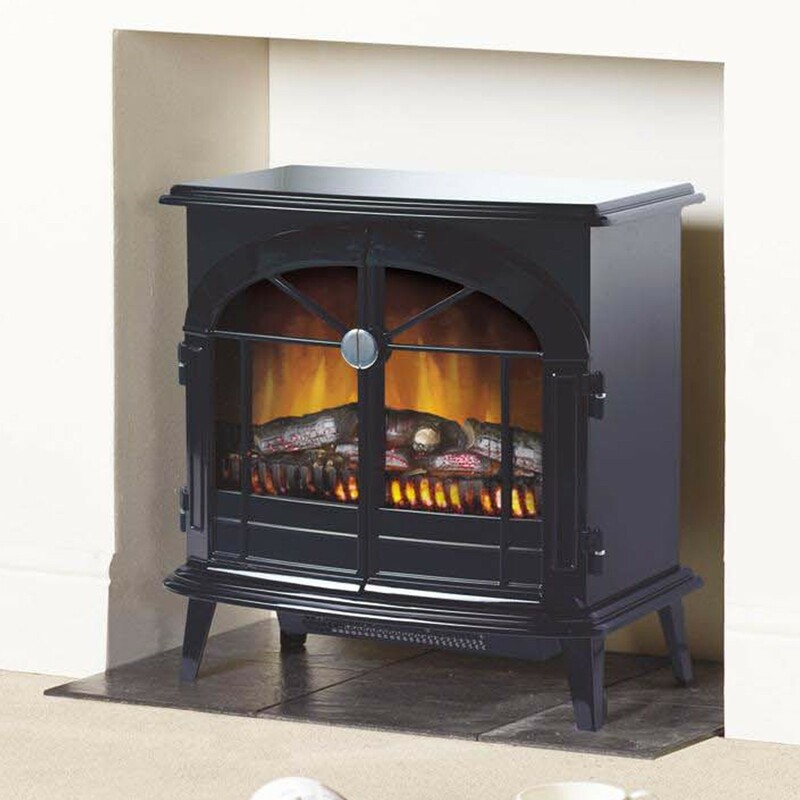 The Dimplex Stockbridge Black is a free standing electric stove featuring the Optiflame® effect supplied with real coals and log effects. 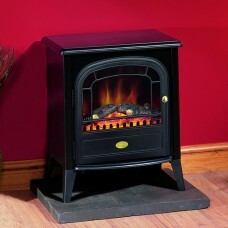 Finished in glossy black this stove has a remote control giving armchair selection of on/off heat output. 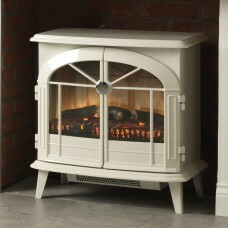 The Dimplex Stockbridge has opening doors for added realism. 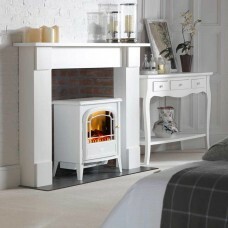 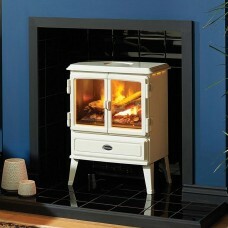 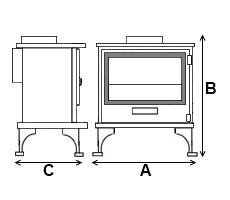 If your looking for a similar item in white then why not look at the Dimplex Chevalier Optiflame Electric Stove.